Cygnus have chosen carefully when it comes to Inflatable SUPs. At the Moment we just offer two makes and we believe we have it pretty well covered. When It comes to buying an Inflatable Sup ,we have found very few customers just press the Buy Now Button, they want to talk SUP. We are pleased to talk to you about the best SUP for you. Red Inflatable Stand Up Paddle Boards Have the Reputation of being the best, we would agree, they can not be beaten when it come to Design, Durability,Performance and just as important ,After sales Service and Spares. 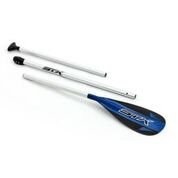 STX Inflatable Stand Up Paddle Boards Have the Reputation for being excellent value for Money!! This being said there is no compromise when it comes to Design, Durability and Performance and After Sales Service, Sounds hard to believe ? no they are great value for money!! 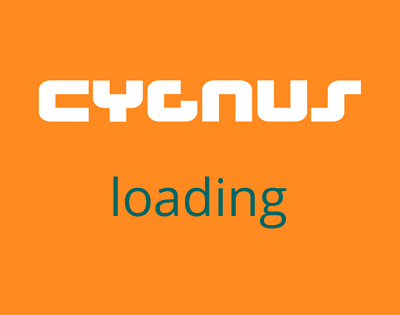 Cygnus have been involved in watersports for 30 years.SUP is the latest addition to the range of watersports. Surfing is one of the most popualar watersports in the UK and being in the midlands getting to the coast can take time and money with petrol the price it is.Northamptonshire is lucky to have may lakes and rivers and canals with some amazing scenery,some of the rivers are fast flowing and riding the flow is great fun. SUP,is now also regarded as an excellent way to keep fit and active,it is one of the best sports for developing core body strength. 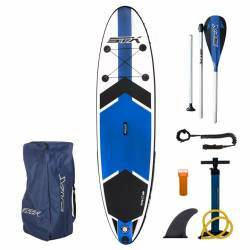 The inflatable SUP has several advantages over solid boards,they are easy to store and transport. Durability is very good and the stiffness of the boards is truely beyond belief. Perhaps more importantly -they work. All the products on our web site are inclusive of UK delivery and we will price match where possible. If you are looking for a complte package we are pleased to work out a price for all your requirements. All we make is inflatable boards. We don’t build anything else, which makes us 100% focussed on making the best boards at the best price. The inflatable concept has caught on and there are plenty of copy cat boards out there. Some better than others but all the same in one way – They are just part of a hard board range. Inflatable boards are completely different to hard boards and trying to copy one directly leads to a big fail. Many of the copy cats are doing just that copying there other shapes and spending no time working on the designing shapes that actually work with the inflatable concept. When you build a hard board most of the design elements are visible on the outside of the board – rail shapes, rocker lines, etc. When you build an inflatable board all the clever stuff and the things that make the board a true performer, reliable and long lasting are all in the inside. There are a few clues on the outside of the board but most of the magic is happening inside. This means that choosing an inflatable board can sometimes be difficult as from the outside you might not be able to tell the good from the bad from the truly awful. The rails on an inflatable board are very important. Unlike a hard board their profile doesn’t change so they are not as important when it comes to the ride. They are important when it comes to maintaining the boards overall shape, stiffness and air tight qualities. All Red Air boards are made using what is known as Double Layering technique. I suppose we could call it DLT and come up with some funky graphic for this but we prefer to properly explain things rather than give the job to the marketing department! Inside all Red Air boards is another board! We build a complete board and then add a second layer to the outside. If you stripped off the outer layer of our boards you could still ride the board you found inside. Double layering adds massive strength and durability to the board. It’s why you can drive a car over it and give it to the kids to jump on. There are very few true double layer boards out there. Most have only partial double layering in patches that are visible. Not a Red Air we are double layered all over. Inflatable boards are made using drop stitch material. This material has a thread that attaches the top of the board with the bottom. As you’d expect we go one step further and pack the board with as many internal thread as we possibly can. We don’t stop there either. We double all threads so if one was to break you have a back up thread. These threads are the boards lifeline. If threads break or are not all even in length you get bumps in the board surface and the air is able to move around inside the board which makes for an unpredictable ride. We use only the best material and work directly with the cloth manufacturers to maintain and improve the spec. Believe us when we say we have talked a lot about fins ever since Red Paddle Co was born. Our fins are the strongest out there. Why have a board that can withstand being driven over by a truck but one that the fin breaks the second you run into a rock or drop the board. We’ve looked at every fin system available and while some offer some good features none, and we mean none are strong enough to pass our R&D checks. The three fin set up on Red Airs offer the best mix of directional stability and control. We designed the Ezee pump to work better than any other pump. 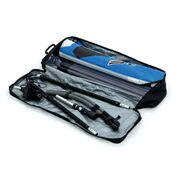 It is specifically designed for inflating our boards and allows you to reach high pressure with minimal effort.